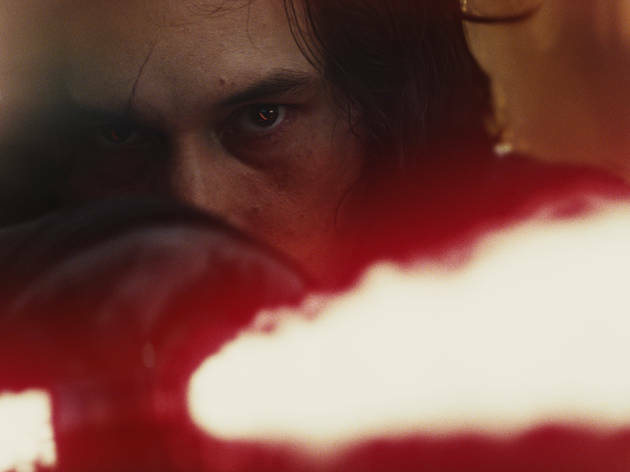 Just as The Force Awakens launched the little-known Daisy Ridley into the stratosphere, The Last Jedi introduces viewers to a spunky, instantly likable actor who should be huge in a matter of weeks. 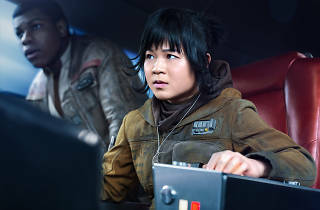 Born to Vietnamese parents but California-raised, 28-year-old Kelly Marie Tran can only tell us that she plays a resistance fighter named Rose Tico, and that her character is some kind of space mechanic. That’s all she’s allowed to say. But her enthusiasm on the cusp of fame speaks volumes. [Laughs] I just took my first breath of the day right now. No—I’m good. I’m truly trying to be present and enjoy every single moment, because I know it’s going to be over sooner than I think. How did you come into contact with this whole thing? Like someone was scamming you. Yeah. It’s was like: What is this, first of all? Second of all, there’s no way I’m getting this. There’s no way in hell that they would put someone like me into a movie like that. And that, ironically enough, was the thought that helped me get the part. You tapped into the crazy confidence of the doomed. Seriously. I would have bet my life on not getting this. And I was so confident in that, that it gave me this wonderful freedom. I think that really helped. Your being Asian-American feels like a big deal. The ‘Star Wars’ universe has always featured different species, but to have it better reflect our own species is gratifying. Do you feel the weight of that? [Laughs, groans] I’ve been carrying it a while now. Yeah, I definitely think about that. I feel like it’s an honour and a responsibility at the same time. 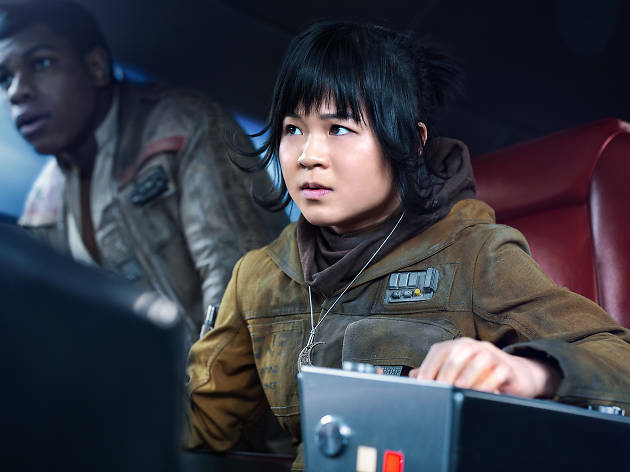 ’Star Wars‘ is so much bigger than any single person involved, so you feel like you want to do that justice, and also feel like you want to do justice to that little girl inside me that never saw anyone who looked like her, that person who’s starving for representation – it’s a lot. What’s crazy is that, apart from doing events, I never get recognised. I run outside all the time, I go on hikes, I go to the grocery store, I go to the bank. I do all this stuff and no one ever stops me or asks me anything. I even bought my own toy, and told the person checking me out that it was me. They didn’t believe me. That’s what everyone keeps saying. I feel like I might be able to skate by. I think my hair’s so different than this character. I might be able to have sort of a Hannah Montana lifestyle, maybe for ever. We’ll see. I’ll let you know. Your years of auditions are probably over at this point? I don’t know if that’s true. I want to work with amazing filmmakers and tell important stories, and if I have to audition to do that, I will. Even though you don’t get mobbed in public, you play with that action figure of yourself, admit it. [Laughs] I actually have it right here [pretends to reach for it under her chair]. I actually haven’t taken it out of the box – I know! I’m weird about it. You know what I did? I built the Lego set that had my character and John Boyega’s character. That was really weird. And cool.